We have lived in our home for nearly a decade and I love it. I truly love my yard, but the feeling is not mutual. My yard is trying to kill me. After a lifetime of thinking of myself as allergy free, I have been proven wrong. As it turns out, oak trees, along with other things, cause me to have an extreme allergic reaction. Care to guess where I live? Yes, in the middle of a 150 acres of forest. I had no idea that this could be a life-ending allergy for me. Huge portions of this country have primarily hickory and oak forests. I would need to drive at least a twelve hours to be somewhere that doesn’t have oak trees. If you or someone in your family struggles with seasonal allergies, first, go to an allergist to find out what they are. In a truly catastrophic event, it is critical that you know the type of environment you can live in. 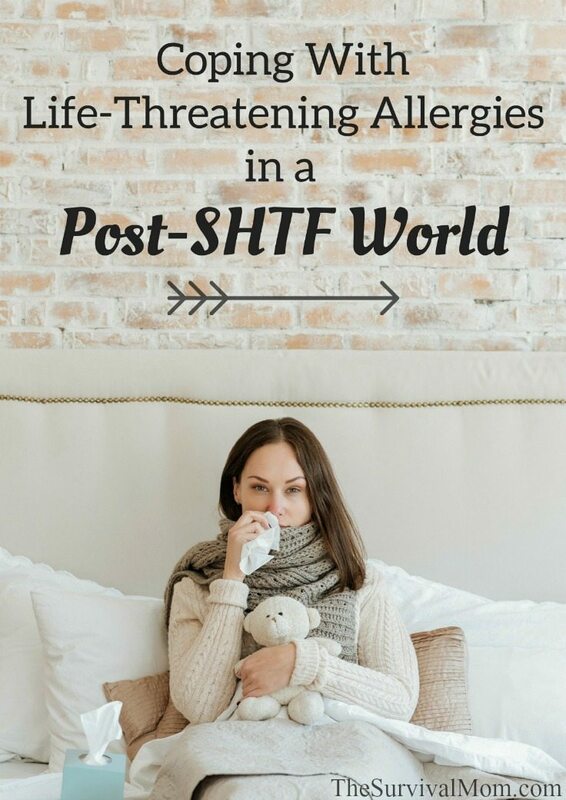 In a SHTF scenario, with medical care limited or non-existent, you will need to know not only what you and your loved ones are allergic to but then also know how to treat them. I have had chronic bronchitis and other coughing-related problems since Junior High. At one point, a doctor prescribed an inhaler, and another doctor mentioned I might have asthma. When I lived on the West Coast, my coughing problems subsided and I thought I had outgrown my allergies. After I moved back east, the coughing problems returned. After a few years, seasonal allergy flare ups became a problem, so I started taking over the counter antihistamines. Things got worse and I was now using a nasal spray and prescription medication. I remembered my inhaler and tried it. It helped, a lot. When I developed an allergy to onions, I realized that I needed to see an allergist. My allergy issues went beyond just occasional seasonal misery. When I told her I had used more than 3/4 of a rescue inhaler in three weeks time, she was shocked. Clearly, it was the wrong treatment and I should have been in to see her sooner. As per normal procedure, I had stop taking antihistamines for a week before the testing, to ensure they were all out of my system. Thankfully I could still use an inhaler. The allergist tested nearly 30 different things on me using prick and intra-dermal methods. I came back as allergic to all of them. I reacted as a 4++, with 4 being the highest, on oak trees. My body was also very reactive to many other common substances, such as ragweed and dust mites. I had no idea how severe my allergies were. There were times I had difficulty breathing and that should have caused me to seek immediate treatment. But it crept up so slowly over a long period of time, I did not think about it. Does this sound familiar to you, too? Whether you have the allergy symptoms or someone in your family does, please get checked out by a allergist. Some allergies are very difficult to get under control. It may be worse than you realize, even potentially life-threatening – like mine. There are many steps to help reduce your allergies. If you know you have a pet allergy, accept it, and do not get another pet that will trigger your allergies. When you see an allergy and asthma specialist, they will give you a specific plan with remediation steps to take. One simple step is to use a face mask. I strongly prefer the machine washable, reusable “Breathe Healthy” face masks because I can wear them for hours without the discomfort that cheap disposable masks cause. There are a variety of fun patterns to choose from. It takes a while to get used to the sensation of breathing through a face mask. Cleaning the inside of you home can stir up dust, pet dander, and other allergens. Cleaning outside can stir up pollen. Wearing a face mask and possibly even goggles reduces how much of the allergen enters your system. Neti pots can also be a great help, but be careful with the water you use. Buying distilled water is a great choice, although boiling and then cooling water before using it is also popular. Many people swear by Neti pots and the relief they bring. If you aren’t familiar with them, here is an example. Both the Neti pot and a good face mask are options for dealing with allergies in a post-SHTF scenario. Without the ability to get allergy medications, shots, or hospital care in the case of an extreme reaction, these 2 stop-gap measures are both inexpensive and fairly effective. With the severity of my own allergies, I will be getting immunotherapy shots in the near future. Immunotherapy is a weekly commitment for about five years. It isn’t something that everyone can do, even if they are a candidate for it. I know that I cannot avoid oak trees and I am going to keep my pets. For me, the sacrifice and time of immunotherapy is worth it in order to live a life free of miserable allergy symptoms. The week leading up to my allergy test, I was wearing a face mask any time I went outside and most of the time I was inside. There were moments when it was difficult for me to breathe, and it wasn’t even peak pollen season. My doctor prescribed Singulair, antihistamines, a nasal spray, and an asthma inhaler for daily use. I also rely on a rescue inhaler in case of an allergy induced asthma attack. Many allergy medications are available over the counter. It is important to know what medicine is best for you and to keep a good supply on hand. Over-the-counter meds are readily available, have fairly long shelf lives, and often, you can find coupons that provide discounts. If a severe allergy sufferer is without their medications for more than a day or two, their condition could degenerate from healthy to life-threatening before help arrives. For example, antihistamines only stay in your system for 2-7 days. Consider keeping extra medication at work, in the car, in emergency kits, or other places where you might need it. Even a dose or two encased in a vacuum packed bag can be kept in a wallet or money pouch. Local honey can help with allergies for weeds, grasses, and anything else bees pollinate, but bees aren’t big pollinators of trees, so it can’t be a solution for everyone. It didn’t even occur to me that the reason the honey was improving, but not eliminating, my allergy problems was that I had multiple allergies to some things that bees don’t pollinate. Local honey operates on the same principal as allergy shots. When ingested, your body is exposed to small amounts of an allergen to help it develop a tolerance. Honey has the potential to reduce the user’s overall “allergen load.” An allergen load is the total amount of allergens your body is dealing with at any point in time. One way to keep honey handy is to pour it into half-sections of drinking straws, and sealing the ends with a hot iron. There are individual honey packets you can purchase, but I’m not convinced the honey is pure honey (often it’s combined with high fructose corn syrup or some other ingredient). Take a look at these fire straw instructions and then use the same concept with honey. Once you know what you are allergic to, it is important to take steps to reduce your allergen load. You may be able to reduce your total exposure below the allergic threshold, which is where symptoms start. Since it is the total exposure to all allergens that leads to being symptomatic, it makes sense to reduce anything possible. If you have a cup, and you pour some milk in it, some soda, some coffee, and a little bit of tea, it will eventually overflow. It doesn’t matter that there are lots of different types of drinks in it. The cup will overflow the same if you held it under the sink and filled it with just water. The same is true of allergens. If sufferers can remove or reduce even one or two triggers, it can make a difference. Certain foods, such as onions, garlic, corn, and wheat, are common and seemingly impossible to avoid entirely. Others, such as passion fruit and quinoa, are fairly simple to avoid. The same is true of non-food allergens. Mites are almost impossible to avoid entirely and oak trees are incredibly common wherever there are deciduous forests. While most of us won’t part with a family pet easily, horses and orchids are pretty simple for most of us to avoid. As a prepper, keep at least one extra month or two supply of your allergy medications, including local honey if you use it. Asthma inhalers are prescription only, making it hard to have extras on hand. Keep a supply of over the counter medicine, including simple anti-histamines, even if they aren’t part of your daily regimen. Remember that having your gear and supplies to keep allergens off you is also a must. A scrub cap (they make scrub caps specifically for long hair), no rinse shampoo, and the “Breathe Healthy” face masks can help keep pollen away from your eyes and nose. Pollen is designed to stick to things, so it will be carried in on the surface of anything that goes outside. Being able to clean your clothes without electricity will let you have pollen-free clothing, when you or anyone in the family has to venture out into nature. Pollen will also attach to your pets (waterless pet shampoo is a good idea), so be prepared to clean a lot during pollen season and in an emergency. I know my allergies has forced us to change some of our preparedness plans. I am a big proponent of bugging in versus bugging out. 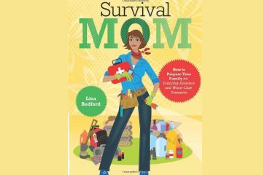 In the event of a disaster, my family will have only a month or two of bugging in at our home. We will need to move away from any oak trees before I run out of medications. I will also need to be careful around fires because the smoke triggers my asthma. 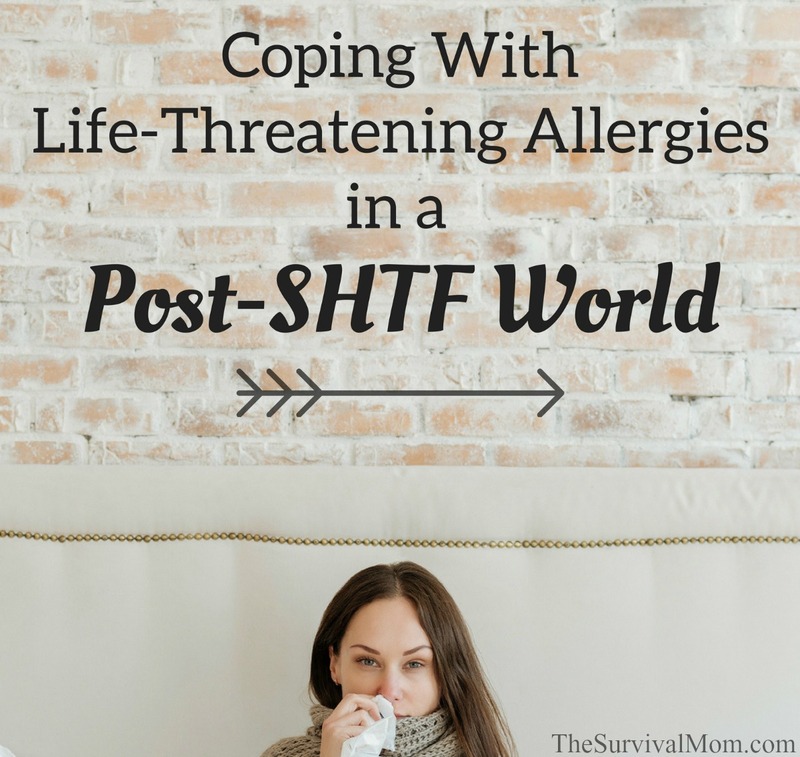 As difficult as it is to have allergies, knowing what they are, how to treat them and what to do in an emergency, has given me more control over my health and preparedness plans. My husband has developed a severe allergy to wasps. As in, anaphylactic shock in 5 minutes and near death after 1 sting. He takes care to avoid them, but has been stung just standing in a driveway. Shortly after his severe reaction, he and his co-worker stepped out of the office door for lunch and the co-worker was stung. He does the injections, but there is currently a world-wide shortage and he had to space them further apart to make his serum last longer. He is currently out if serum, but is on a list of priority needs and they tell him he should have another supply in 6 weeks. I certainly hope so! We keep a good supply of epipens as well. When I lived in Minnesota I did not have any allergy problems, I now live in California and they can be extremely bad. I do eat local honey, I don’t take medication for them, I already take too many meds and I don’t want any more. Maybe you have found as I have that swimming in the ocean instantly clears my sinus, unfortunately it is not a very handy remedy, but it does wonders. I also eat hot peppers, instant relief again, I prefer the Italian sweet peppers that have a kick, any hot pepper works for me. Thanks again for the article. It’s interesting that you mention the ocean. I just told my husband that if shots don’t work and my allergies get worse, we should consider moving to live near the ocean! I am allergic to everything in the world, it seems. Right now, I have one of my chronic bronchitis sessions. I just discovered I am allergic to all mammal products. If it suckles its young, I cannot eat the meat, milk, eggs, anything from the mammal. For years I kiddingly said I thought I was allergic to beef. Turns out, it is true. I can have a bit of pork with no deleterious effects. I have always mainly eaten chicken and love it, thankfully. I have Singulair, rescue inhaler, other inhalers. On another level the allergies are life-threatening. I have eosinophils in my esophagus from allergies. Eventually, they will turn to cancer. If I had not found this out, I would be dealing with esophageal cancer. I could tell you more! How scary! I’m glad you found out in time to at least slow down the progress of the disease. I have minimal food allergies, but it definitely feels like I’m allergic to everything some days. I had medical adhesive tape used on me two weeks ago. The resulting red marks have finally faded to the point that you have to look to see them. They were bright red, like a bad sunburn, for the first few days. For years, I said I couldn’t eat onions and people basically either made fun or me or acted like I was an idiot. Well, know it has turned into a full-blown allergy. So I understand where you are coming from regarding beef. Liz – I would get a reaction like that from adhesive tape whenever I was taking antibiotics in the Tetracycline family. It would almost look like I had been burned. We couldn’t figure out what was causing it until I finally realized it only happened when I’d be taking Tetracycline. Finally got so allergic to Tetracycline I have to avoid that entire family of medicine. The allergy was not to the adhesive tape, per se, but a side effect of the allergy to Tetracycline. Recently I had noticed my feet and ankles were swelling really bad and started thinking I might have congestive heart disease (am that age and it runs in the family), but realized it, too, was an allergic reaction. Where I live, my landlord raises ducks. I knew I was allergic to feathers, but had not paid that much attention. I had put out some large tubs and a wading pool for the ducks to use. That requires being cleaned every day cause they make it really nasty quick. When I’d dump out the water it would get all over my feet, and my flip-flops I was using. I was rinsing my feet and shoes, but not immediately drying them and making sure all the mud was completely off my feet. The bottoms of the feet were coming in contact with the flip flops which had the dried mud on them. Since I started washing my feet AND flip flops and getting ALL the mud off and thoroughly drying them, the swelling has gone away completely. On those days when I get busy and forget to get all that off my feet, they will swell like a poisoned pup. And we also have ragweed in my yard, which will be low ground cover and then we seem to have constant rain in the spring for about a month, at the end of which the rag weed will be three or four feet tall. It gets too big to mow, or use a weed eater, you have to pull it, weed by weed. In a half acre yard, that is a lot of weeds to pull. My landlord comes over with his yard tractor and takes care of the front yard, but cannot get it into the back yard, so I end up gradually pulling the rag weed all year round. And it is one of my worst allergies. When I had allergy testing I had a plus 4 reaction to every type of tree and most weeds and flowers. A lot of insecticides use a chemical made from something related to ragweed, so I cannot use them on my dogs for fleas or ticks. And I’m told that if you are allergic to ragweed you are almost certainly allergic to mums. I had a doctor a couple years ago with that same allergy and he warned me if I ate at Oriental restaurants to be very careful about drinking the house tea as it is often made from mums and with my allergies could cause a fatal allergic reaction. Wow! You have gone through a lot! A friend uses food grade diatomaceous earth on her pets to prevent fleas and ticks. As a side benefit, if they lick it off, it kills any internal parasites – or so she tells me. My family has a variety of allergies. The two treatments I have found to be the most effective are oregano and mint. Oregano tea (made from fresh or dried oregano, steeped until greenish-golden) is exceedingly effective at treating breathing issues, especially from allergies. 1 tablespoon of fresh oregano (Origanum vulgare) leaves per 1 cup of water or 1 teaspoon of dried leaves per cup of water. Do not do more than 2-3 cups per day. I have found home grown oregano to be far superior as a medicine than the kind found in the culinary section. Relief is noticeable withing 10-15 minutes from drinking. Mint tea is effective at helping treat food allergies. Personally, I do not find it as fast acting as oregano tea nor is it as strong. However, I have found it drops hives which oregano does not. Peppermint is the strongest of the mints, spearmint is gentle enough to give to children. Relief occurs within 30 minutes from drinking. Mint also works to help repair the lining of the stomach and the esophagus, which is handy if someone in the family suffers from acid reflux or ulcers. Thanks! We do have oregano and it grows kind of like a weed in our garden, so we can definitely try that. While I am not all that well versed, I would suggest researching homeopathy for treating allergies. There are some very reputable resources out there, with the scientific research to back them. In a SHTF scenario, homeopathy, herbals and other alternatives will be all we have. It would be prudent to research them now, and perhaps begin treatment now. I also have severe allergic reactions to wasps, but not honeybees. Liquid benadryl is kept on hand at all times, as I can not afford the epipen. Always call 911 if you have that severe of a reaction. I do like homeopathy when possible, but I still think going to an allergist to find out what your allergens are is a good step. It’s harder to avoid them if you don’t know what they are, and avoiding them (if you can) makes life easier. I’m allergic to dust mites, too, I’m a 4. My doctor told me to consider moving somewhere that is 6,000 ft or more in elevation. At least I can melt snow to drink. Wow! Have you tried shots? I know they don’t work for everyone. In addition to the remedies your allergy doc has probably recommended, we are using a eucalyptus spray for areas we can’t just toss in the laundry – like the sofa. It has the added bonus of being a moth-repellent, so we spray it in the closet as well. Lavender is another oil that can repel dust mites and moths, and it’s soothing to spray on linens. Eucalyptus might be beneficial when you are stopped up, though. I hope that helps, at least at home. Good luck with it. Thank you for this article. It has really helped our family already. Providentially, I read it just the day before my son had an asthma attack. His allergies had been getting worse, but were mostly handled with a rescue inhaler (just like yours were), and … I was in denial. But the fact that I’d read this article helped me take seriously what was happening. We got the attack under control without having to go to ER, but that same day I called our doctor. She prescribed lots of good stuff and has referred us to an allergist. I hope with the allergists’s help we can take steps so we could keep him breathing well in a SHTF scenario. The time you took to write the article has possibly saved one life already. Thank you for posting. I am so glad I helped your family. Our allergist used a new test called FeNO – fractional exhaled nitric oxide – to diagnose my asthma. I tend to test quite normally on spirometry, which is undoubtedly part of the reason my asthma was undiagnosed for so long. The FeNO test showed not just that I had asthma but that it was wildly out of control and likely to respond to corticosteroids. It’s new and not a lot of doctors have it, but I definitely recommend it if they have it. Best of luck to you and I hope you and your son have a great outcome. Another temporary solution to severe allergy symptoms is acupuncture. I wasn’t a believer and was basically nagged into trying it out. Boy was I shocked! After about 15 minutes of treatment, I could feel my sinuses opening up more than ever before. My metabolism, which was usually low due to my constant flu like symptoms, started to skyrocket. I felt more alert, energetic and hungry than I had in a long time. I’ve done claritin, flonase neti pots and eucalyptus steam, but none of them worked as well as the acupuncture. I just wish it had more of a lasting effect. I think acupuncture is great. I remember reading a Smithsonian article around 1995 about the effectiveness of acupuncture on pets. No way that is somehow a placebo effect, so I definitely believe it helps.